Fastest and painless jaw pain relief treatment in Brooklyn. Jaw pain, right side may be a clue that you have a tooth infection on that side of your mouth. On the other hand, jaw pain, left side may indicate that you have an uneven bite that needs correcting. No matter where your pain in jaw appears or how severe it is, don’t wait to visit your Brooklyn family dentists for a proper diagnosis and jaw pain relief. Jaw pain, left side and jaw pain, right side may be caused by completely different sources. 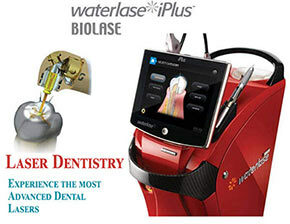 Only your Brooklyn dentist can help you diagnose the pain in jaw feeling that you’re experiencing. You may need emergency treatment or you just may need to learn how to relax. No matter what the reason, jaw pain is not something to ignore. The pain in jaw you feel can affect your eating, your communication and your entire well-being. Untreated, it can lead to serious consequences that last a lifetime. Jaw pain relief treatment varies depending on the source and whether you have jaw pain, right side or jaw pain, left side. Either way, don’t wait to visit your Brooklyn dentist for a proper diagnosis. The pain in jaw may just feel uncomfortable. Or it can be sharp and throbbing. With a vast array of skin, muscles, nerves and bones in your face, any time there’s swelling or sensitivity, you’re going to feel some level of pain. No matter how insignificant you think your pain level is, don’t hesitate to call your family dentist in Brooklyn for an appointment. It’s practically impossible to properly diagnose the source of your jaw pain without an in-person visit because everyone experiences pain differently. You may have jaw pain, right side, for example, that presents entirely differently from someone else with the same symptoms. Temporomandibular disorder, more commonly called TMD, is one of the most common reasons you may experience jaw pain. You usually develop TMD after an injury to your face or to the TMJ, or temporomandibular joint, which is the joint that acts as the hinge on each side of your face operating your mouth. Jaw pain, right side and jaw pain, left side may be a result of TMD. TMD afflicts about 10 million people each year and shares many of the same symptoms as other pain in jaw conditions. It also shares many of the same causes too, like teeth clenching caused by stress. The joint can become fatigued from too much movement or damaged from joint disorders like arthritis. Once more serious complications are ruled out, your top dentists may suggest simple homecare Jaw pain relief treatments such as rest and ice packs or moist heat and light pressure. If your jaw pain is stress-related, you may need to take up anxiety-reducing practices like yoga or meditation. Additionally, jaw pain can be reduced by avoiding hard food that requires a lot of chewing. X-rays and blood tests can help your Brooklyn dentist determine the cause and develop a recommend treatment plan. 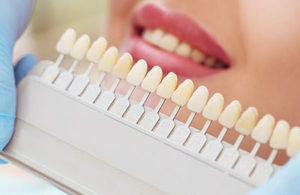 When you build a relationship with your family dentist in Brooklyn, he’s already prepared with a complete history of your oral care and can more readily decide whether you may need more treatment and what it may involve. Do you have any questions about the jaw pain relief treatment (pain in jaw right or left side) procedure in Brooklyn? 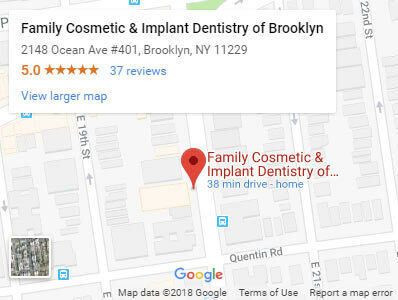 For more information or to schedule an appointment with the best rated family dentists Alex & Igor Khabensky DDS of Family Cosmetic & Implants Dentistry of Brooklyn? 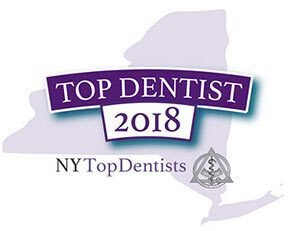 Please contact our Brooklyn dental clinic for consultation with the dentists Alex and Igor Khabensky DDS.